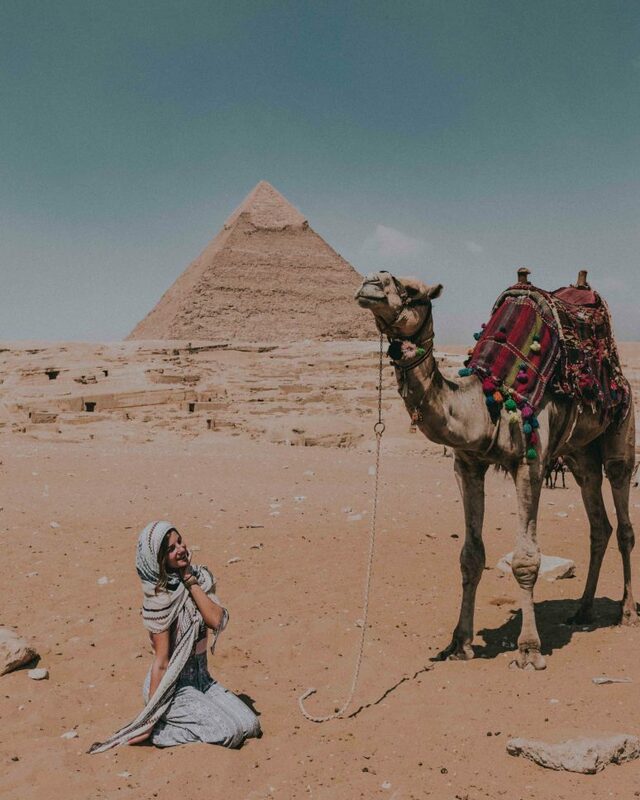 Egypt is an ancient land of dreams, full of history and vibrant culture. Isn’t it wonderful that a place that they teach us in school about is so achievable to be seen and get to know nowadays? 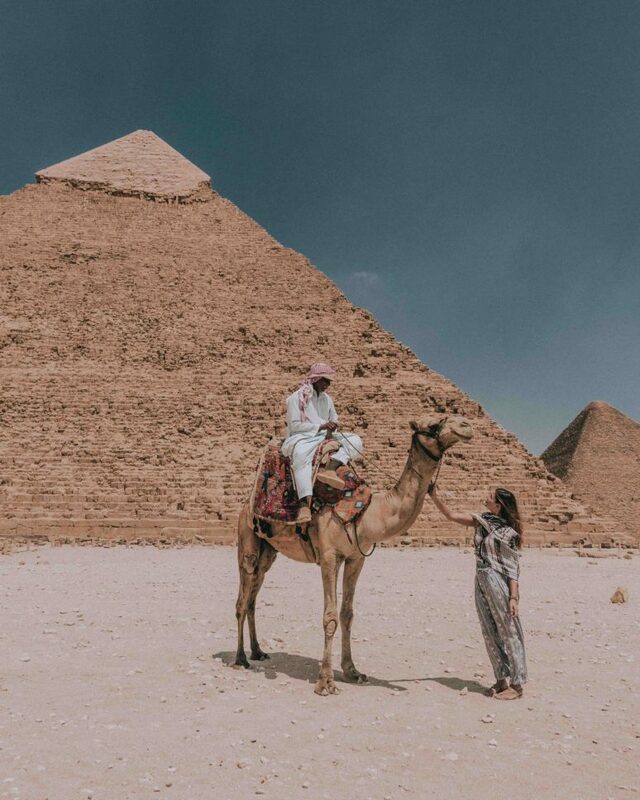 Most of us know that Egypt is the home of one of the Seven Wonders of the World – the ancient Pyramids of Giza and probably everyone wants to go there to see them in person. But the Pyramids are really not the only thing that you can experience while in this stunning destination. 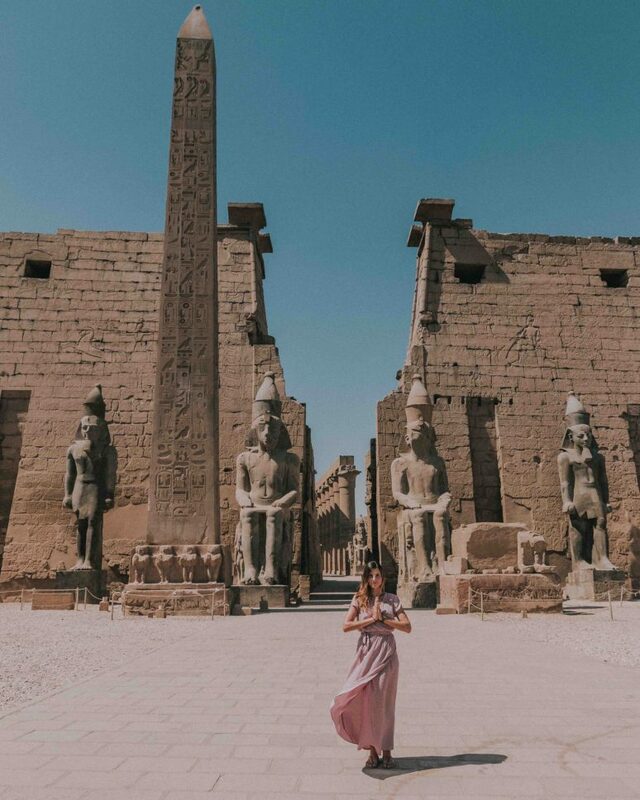 Actually, before I get there, I was told that Luxor is even more incredible and breathtaking with its speechless temples, full of history and powerful energy of past times. I knew I wanted to visit these sites but only had two days. Luckily, through some creative planning I was able to see an amazing amount in Egypt in only 2 days! 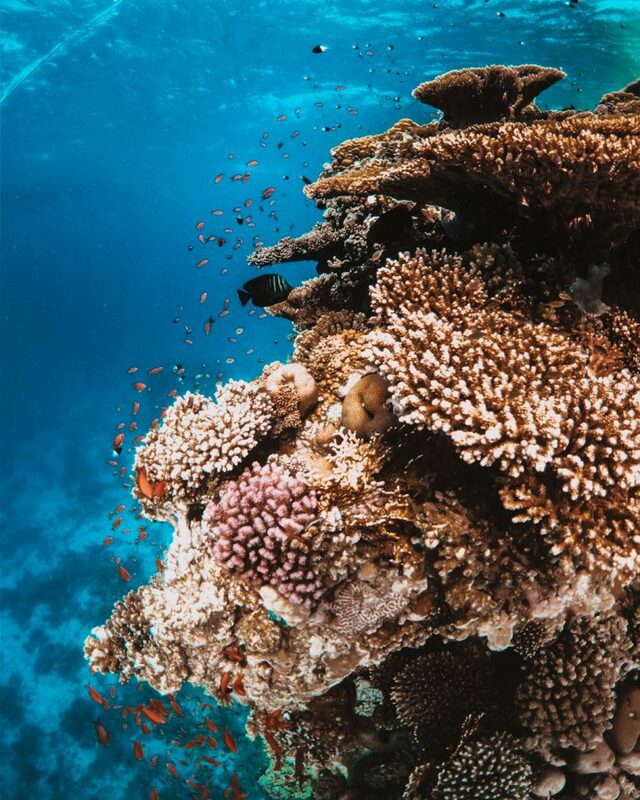 Our Egypt journey started in Hurghada were we were supposed to spend 8 days on a yacht sailing Red Sea, exploring the beautiful coral reefs and marine life. We weren’t really sure if we’re going to have time to visit Cairo to see the Pyramids and Luxor to explore the beautiful temples. That’s why before we left to Egypt we bought our plane tickets with 2 days extra time to try and see as much as we could! Everyone on the boat told us (including locals) that we must be crazy and that it is impossible to see Luxor and Cairo for 2 days, especially without taking a plane few times which would make our budget totally explode (because we are always travelling on a budget). The distances in Egypt are really huge, so that was the thing that motivated us the most to make a great plan to see as much as we could in 2 days. The final result was managing to visit both Luxor and Cairo in 2 days. It was crazy and I don’t recommend it to anyone who doesn’t love adventure, but it is possible. If you decide to go to Egypt for 1 or 2 weeks – that’s amazing, do it! But if you only have limited time like we did, it is possible to see some of the main highlights in only 2 days. 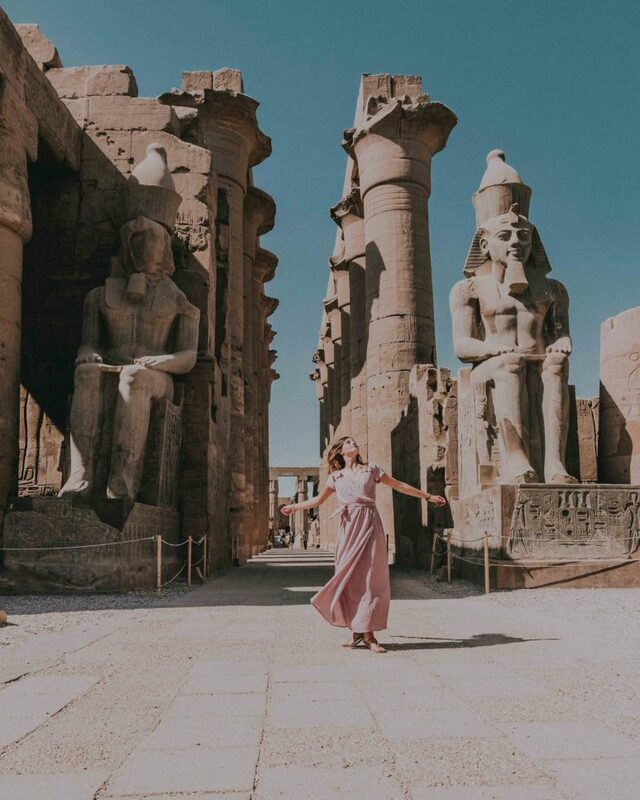 After a good amount research and of course a little help from a friend, we decided to visit Cairo and Giza for 1 day and then visit Luxor and all the ancient temples and the tombs on the second day. So 2 days in total. No plane, no tour agencies, just the 2 of us and the help of a couple of friends and we did it. The best way to see these Egypt highlights in 2 days for minimal cost is to use overnight buses, so you can travel long distances while sleeping. You can book buses online using Go Bus or Blue Bus. We took the night bus from Hurghada to Cairo and spent the night on the bus. We traveled for 6 hours and arrived around 6:30 a.m. in Cairo where a local guide named Ahmed was waiting for us. 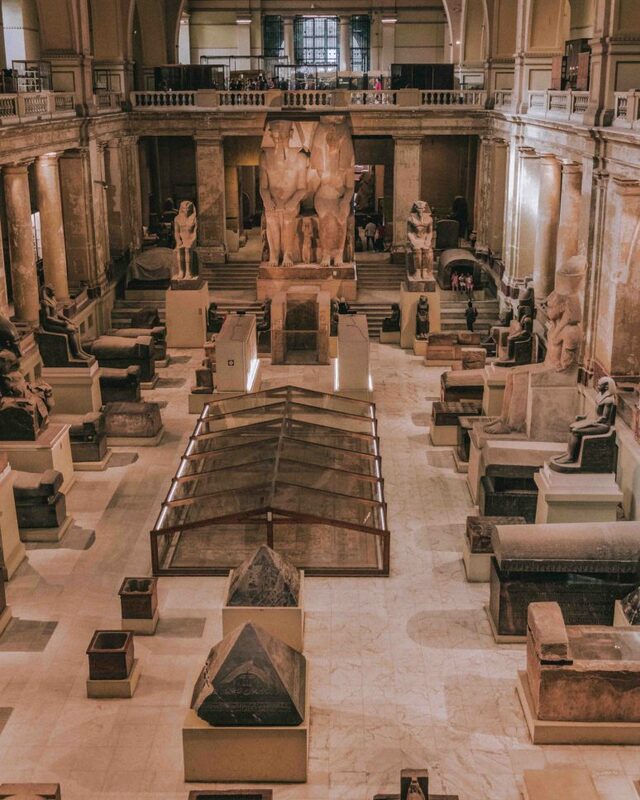 We definitely recommend doing one-day trips in Cairo with a local guide to see as much as you can. Our guide was arranged by a friend, but you can find your own local guide by doing some quick research on TripAdvisor. 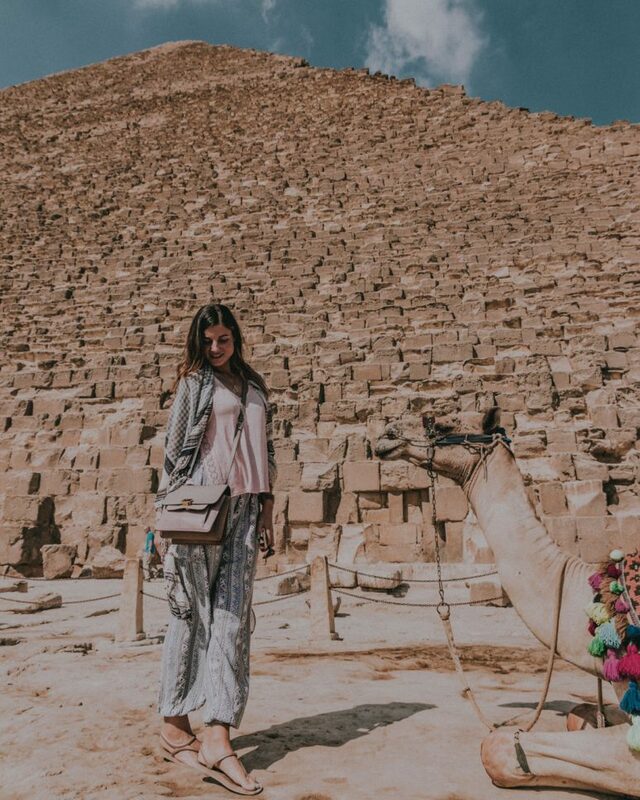 Our guide took us to The Pyramids of Giza, then we visited the ancient Egyptian Museum which was one of the highlights of our day trip because we saw a real mummy and found out so much about the history of Egypt. It is totally a must do, we cannot recommend it more! We then had the most delicious lunch at the Nile river and then on top of everything we took a beautiful night cruise trough Nile. That night we took another bus to spend a second night travelling and sleeping uncomfortably in the bus (but it was so worth it) and to wake up in Luxor on the next morning. After Cairo we travelled for 8 and a half hours overnight on the bus and arrived in Luxor around 9:30 am. 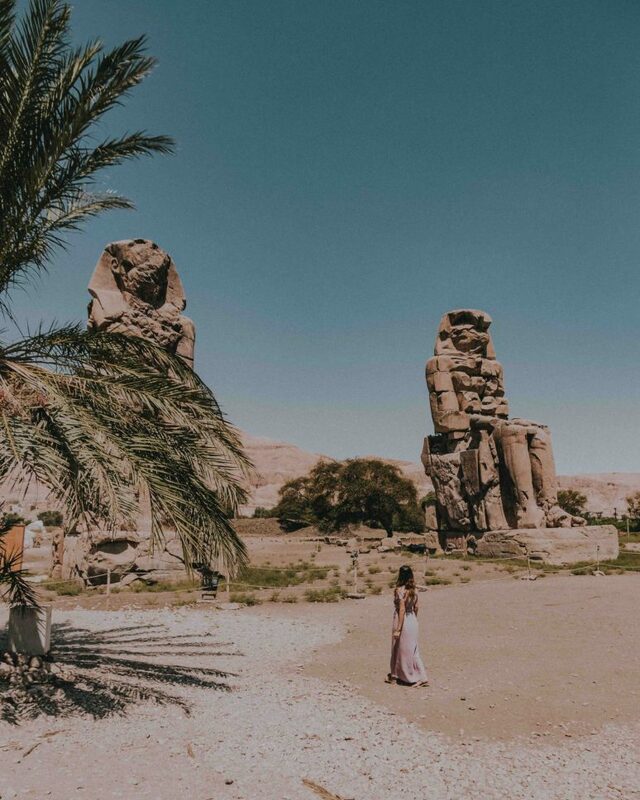 We met up with our local friend and went to all the temples that you should see while in Luxor – Luxor Temple, Karnak Temple, Valley of the Kings and Colossi of Memnon. 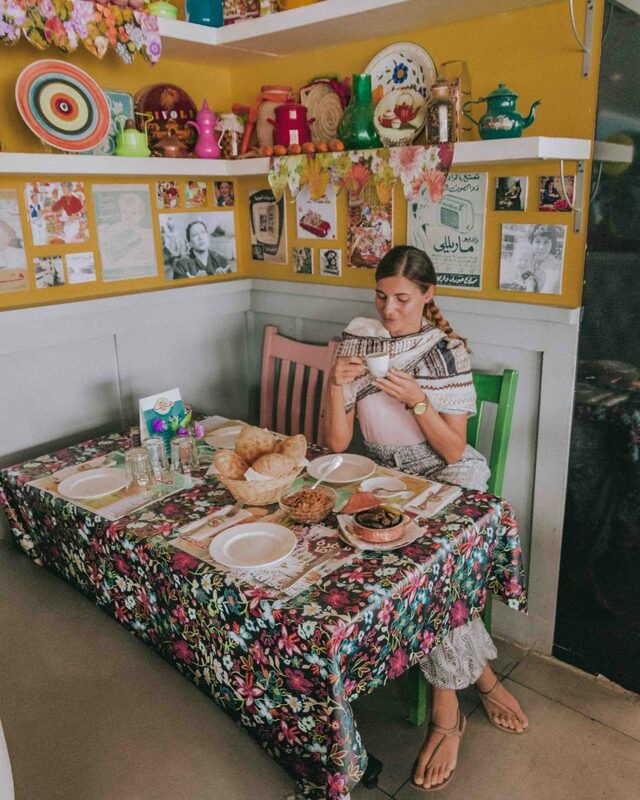 We then had lunch with our friend’s family, so I highly recommend finding a local guide for your time in Luxor as well as Ciaro. It was amazing to see the ancient temples, to visit a traditional Egyptian home and to have the best lunch ever with those nice people! Then we took the bus again around 3 p.m. to go back to Hurghada (which took us around 4 hours) and we had enough time for dinner, souvenirs shopping and then headed to the airport where our Egypt adventure ended. Pretty crazy and exhausting, right? But it shows it is possible to see these Egypt highlights all in 2 days by taking advantage of the overnight buses! If you still wonder if you should visit Egypt or not – stop wandering and just do it! 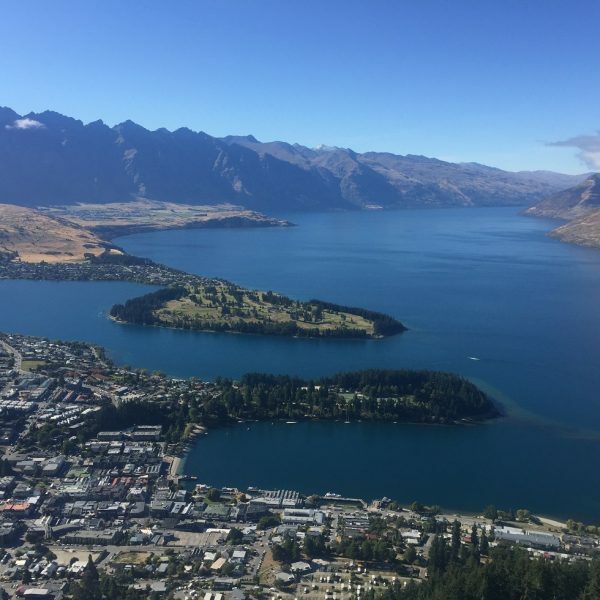 This is an incredibly beautiful land, full of history and places you will remember forever. It is totally safe for travel, so you don’t have to believe to media and be scared to go there. I personally know so many people that did solo travels in Egypt and most of them are women. So just give yourself (and probably your family) a favor and visit that historical country! 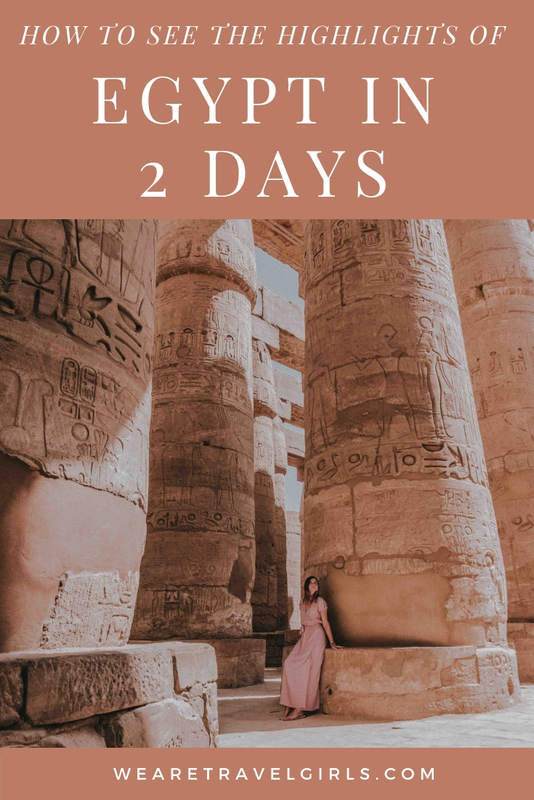 Oh, and one tip, because you made it to the end – if you plan to visit Egypt for more than 2 days on land, we recommend you to go see and explore Aswan, Nubian Village, and Alexandria. 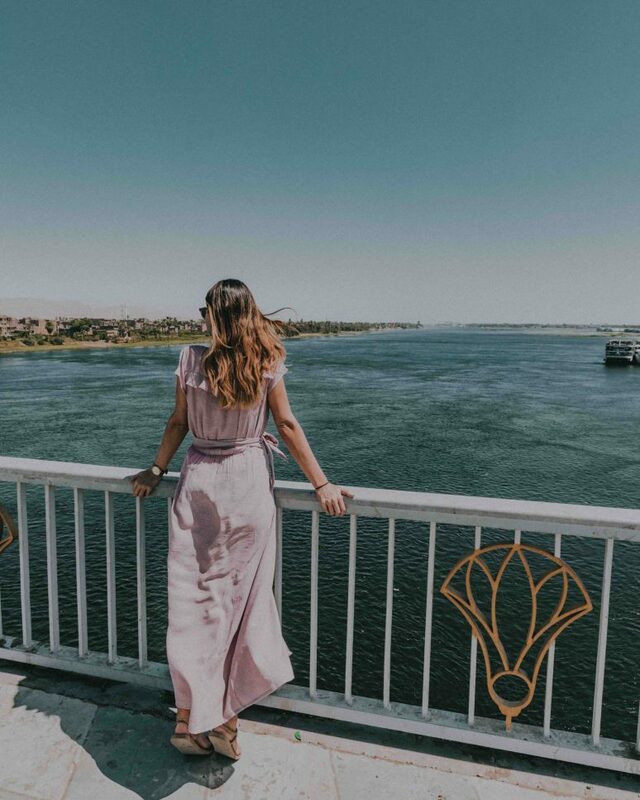 Also a 2 days cruise trip through the Nile river would be an amazing experience too and if we ever come back to Egypt we are totally doing this! 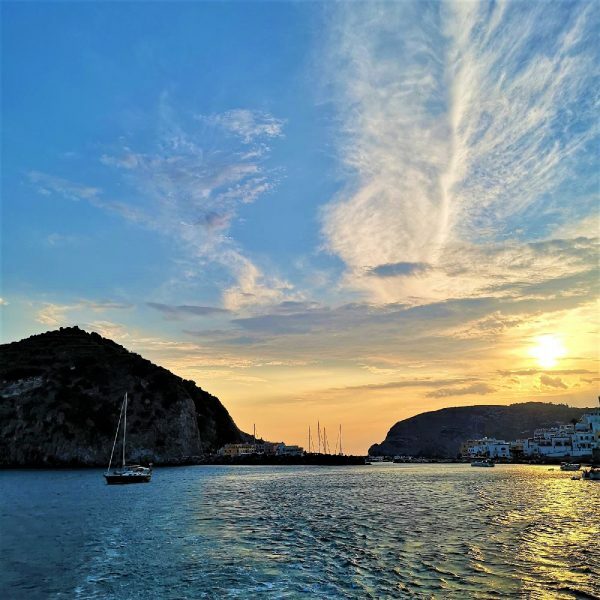 I hope this article was interesting and useful for you and I hope that you will book your tickets to Egypt as soon as possible and go explore this land of dreams! We hope that this article has given you some tips to visit Egypt. If you have any questions about the destination or have your own travel tips to share please leave these in the comments below. 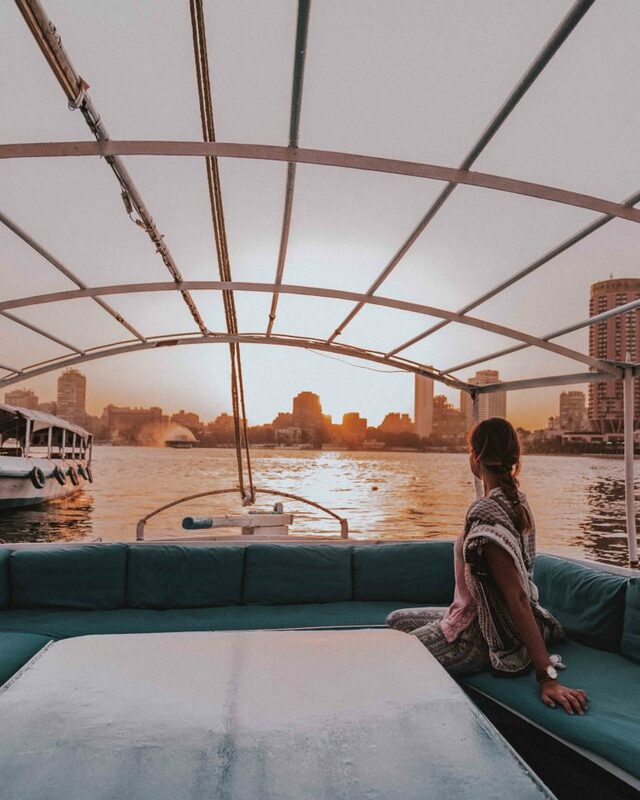 Is Solo Female Travel Safe In Cairo?